The placebo effect is a phenomenon that has confounded Western medicine and research for over sixty years. While the field has historically and continues to be rife with misconceptions and confusion, recent research aims to reignite the art of medicine by turning the effect's underlying mechanisms to therapeutic benefit. However, researchers may not have the appropriate theoretical framework to do so. While significant progress has been made in identifying a number of the placebo effect's underlying mechanisms, conceptual deficiencies hinder application of advances in the field. In part, this is because the placebo effect unearths a number of problematic philosophical assumptions inherent to the biomedical model that inhibit an understanding and harnessing of the placebo effect in its true potential. This gives cause for these assumptions' reconsideration, within an understanding that the placebo effect offers evidence of mind-body interaction. With an eye toward advancing the field of placebo effect research, as well as connect this field with related fields in mind-body medicine, a new model for understanding the placebo effect is proposed. Based in transpersonal psychology's participatory model and Daniel Siegel's mindsight, the placebo effect is defined as any non-pharmacological or mind-based intervention which positively affects one's energetic and informational patterns, resulting in improved embodiment and relationship. This presentation explores how one might arrive at such a definition and the implications it may hold for placebo-related phenomena. Gabriel Crane is a masters student in the East-West Psychology program at the California Institute of Integral Studies, where he will be graduating this May, 2017. In addition, he is a Yuan Gong (Qigong) Teacher and Yuan Ming Medicine Therapist, trained in the teachings of Ren Xue and the lineage of Yuan Tze, and maintains a private coaching practice in California. 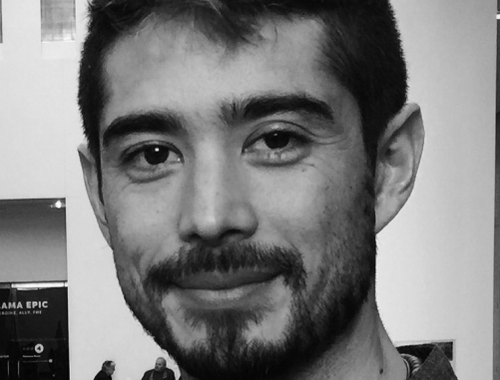 Gabriel holds a BA in Creative Writing from the University of Pennsylvania and has been published in various publications, most recently in the International Journal of Transpersonal Studies for his theoretical research of placebo effects and their connection to transpersonal theory.